The motto of the New York Lottery News is, ‘do not jump the queue,’ you might lose; hold your breath, 319 million dollars. This is the story of the ‘Albany Seven’. 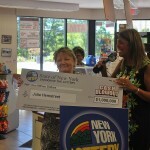 These are IT specialists who work together and made New York Lottery news by buying a lottery ticket. 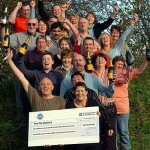 There group of twelve colleagues had been pooling in and buying tickets for the last four years. Five of them chose to opt out this time round. 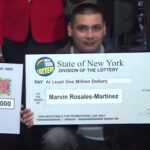 Speaking at the New York State Lottery headquarters, they revealed how they bought the winning ticket. Sixty three year old Mike Barth was standing in the queue when he moved for a second to pick up a candy bar. 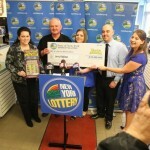 The person behind him jumped the queue but Barth who kept his cool made New York Lottery news and won a cool nineteen million dollars for himself and nineteen million dollars each for his six colleagues. The queue jumper missed out on the lucky ticket by being so hasty. 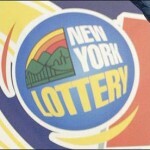 New York Lottery news confirms that the cool total amount of 133 million dollars was part of a lump sum amount they decided to take after paying taxes. The five colleagues who opted out this time are thinking of the adage, ‘you cannot win if you do not play.’ The winning group consists of three women and four men. These guys certainly are not worrying about their retirement.